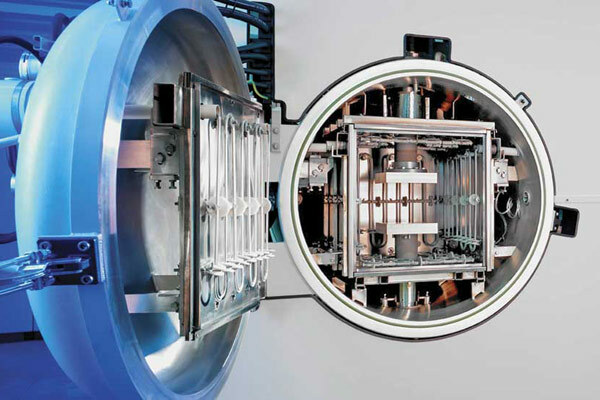 1) the degree of vacuum can be quickly evacuated vacuum heat treatment furnace requirements. 2) can be discharged in the furnace member to be processed workpiece and the release of various gases, as well as due to a vacuum leak and penetrate the body of the furnace gas. 3) vacuum unit area is small, safe and reliable, easy to operate. Vacuum heat treatment furnace vacuum system is usually obtained by a vacuum device (vacuum pump), control and measurement of vacuum components vacuum components of the composition. 1) vacuum pump unit. According to the working pressure and suction capacity of the furnace size, respectively, matching the different low vacuum pumps, vacuum pump, high vacuum and ultra-high vacuum pump. 2) Vacuum components or elements. Various vacuum components or true word element between the vacuum furnace and the vacuum pump is equipped with, such as pipes, seals, flanges, bellows, cold traps, filters and valves. 3)vacuum furnace measurement system, such as a vacuum gauge, vacuum gauge and other vacuum measuring instruments. 4) vacuum leak detectors, vacuum control equipment, inflatable devices. Vacuum furnace varieties, vacuum system requirements are not the same. On the degree of vacuum, there are low vacuum, vacuum and high vacuum systems. Here are some common vacuum system. Low vacuum system is suitable for the degree of vacuum in the range of 2 ~ 1333Pa vacuum heat treatment furnace, such as pre-vacuum pumping low-pit furnace. Most oil-sealed rotary mechanical pump to the main pump. High vacuum system applicable to the degree of vacuum in 6.6 × 10 ~~ 1.333 X 10. Pa range vacuum heat treatment furnace, vacuum annealing furnace, vacuum brazing furnace, usually by a vacuum pump unit consisting of three, usually the main pump oil diffusion pump, an ion pump, the primary pump is mostly mechanical pump or a rotary slide valve mechanical pump .